NOTE: We do not recommend White Cloud Cigarettes for a variety of reasons. 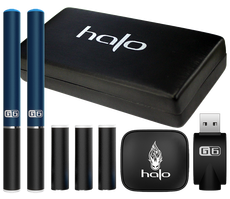 With so many e-cigarette starter kits to choose from, it's hard to figure out which are worth your money and which are not. Based on things like performance, reliability, customer reviews and product warranties, our top picks are the three mentioned above. 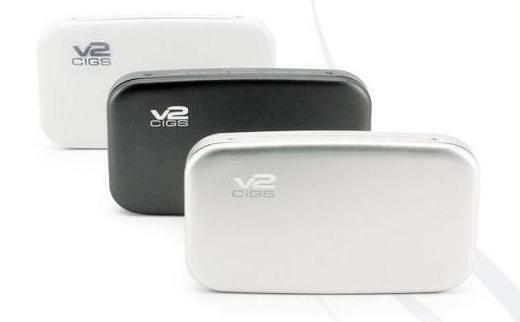 The White Cloud Cirrus 3 Starter Kit is the smallest and lightest Cirrus they've ever made. In fact, it's even shorter than a non-filtered cigarette. 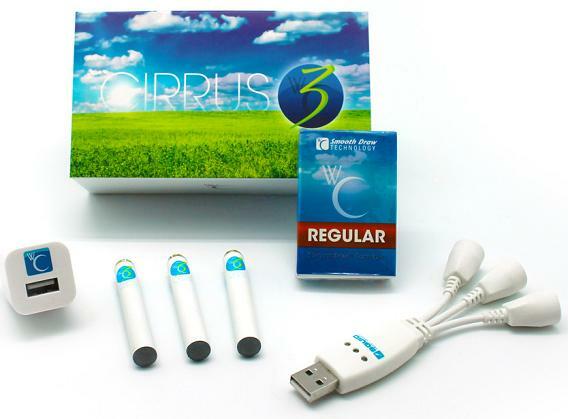 Also included in the Cirrus 3 Starter Kit is the Squid Charger, a USB e-cigarette charger that allows you to charge three (3) e-cig batteries all at the same time. With the Squid Charger you can charge all three of your batteries simultaneously, and in the same amount of time that it would take to charge just one battery. Just plug the Squid Charger into a USB port to charge your batteries. Charge one, charge two, or charge all three batteries at the same time. The battery charge time is somewhere around 60 minutes or more. 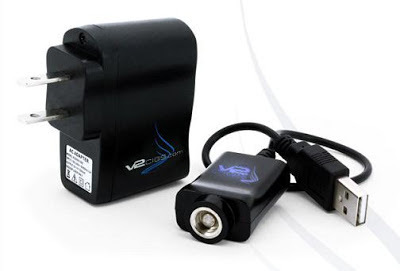 Note: The Squid Charger is compatible with all White Cloud e-cigarette batteries. 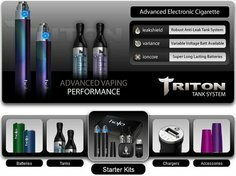 So, if you already have a White Cloud starter kit (e.g., the Cirrus 3x Starter Kit, the Cirrus Variety Kit, or the Cirrus II Starter Kit), you can buy the Squid Charger separately and use it to charge your e-cig batteries. Just look for it in the White Cloud "Accessories" section. 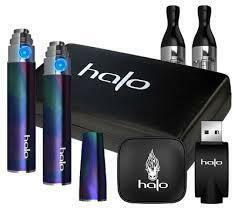 The Squid Charger also comes with the White Cloud Phantom Kit. White Cloud Cigarettes allows you to customize your starter kit by offering several different e-cigarette cartridge flavors from which you can choose. 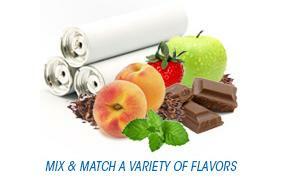 • Tobacco Flavor - A tobacco flavored vape. If you like regular tobacco flavor, then this one is probably for you. 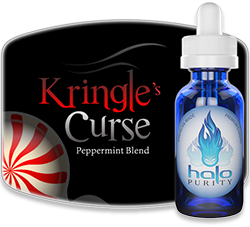 • Menthol Flavor - A refreshing and cooling menthol flavor, with a real menthol tobacco feel! • Vanilla Flavor - A delicious vanilla flavored vape. True to taste...and delicious. If you like vanilla, then you should definitely enjoy this vaping flavor. • Chocolate Flavor - A chocolate flavored vape. According to customer reviews, the chocolate flavor was kinda weak. So I wouldn't suggest this flavor...at least not until White Cloud reworks it. • Strawberry Flavor - A strawberry flavored vape. Tastes like fresh strawberries. • Kick Flavor - A delicious honey and cinnamon vape. The cinnamon comes through quite nicely and really mixes well the honey. If you love honey and cinnamon, then this might just be one of your favorites! • Snap Flavor - Think chocolate chip mint ice cream! A refreshing melange of frosty mint leaves, muddled with cacao beans. Yummy! • Moscow Mule Flavor - The first "limited edition" flavor from White Cloud. It's a hip cocktail of chilled spirits, with a kick of ginger and a twist of lime. • Apache Flavor - With a salt-of-the-earth attitude (and taste), this bold tobacco flavor is for those who think light cigarettes are useless. • Bora Bora Flavor - The mild, yet intriguing flavor of finely cured tobacco (imported from exotic ports of call). Bora Bora will appeal to those who enjoy a sweet, mellow flavor to wash off a stressful day. • Lime and Coconut Flavor - Celebrate summer with this lime and coconut flavor. Like the name suggests, it's a tropical cocktail of limes, liquors and a splash of sweet coconut. • Apple Flavor - Fresh to the core, and with a true green apple flavor, this one is a favorite of many vapers. If you love apples, then this one is definitely for you! • Peach Flavor - With the juicy, fresh taste of a Georgia peach (but without the fuzz), the peach flavor is sweet and yummy, just like you'd expect it to be. 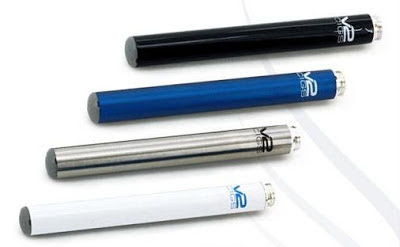 Sure, White Cloud Cigarettes do offer a great selection of Vapor Jackets (colorful and easy-to-apply "wraps" for your e-cig batteries - as seen above), but all in all, it's not the best bang for your buck in our opinion. 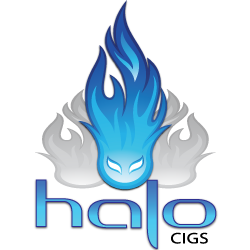 If you want an awesome vaping product that's well worth your time and money, then we suggest you take a look at either Halo Cigs, V2 Cigs or Volcanoecigs. They all rock, and are definitely well worth it. Here's some good news for vapers. 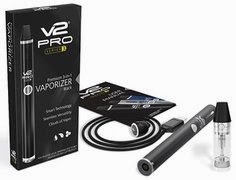 The leading e-cigarette brand, V2 Cigs, has added FREE flat-rate shipping for all orders, no matter how big or how small. According to them, "It’s one more way we’re helping you keep that resolution and finally break from the pack." 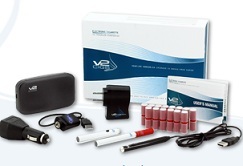 Ever think how cool it'd be to win an e-cigarette starter kit? Well, then here's your chance! And yes, the sweepstakes is completely free. 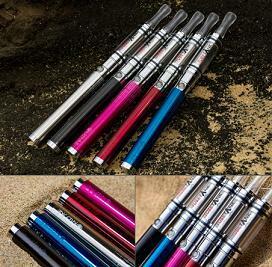 Just fill out the entry form at Volcanoecigs enter the weekly drawing for your chance to win one of their best selling e-cigarette starter kits, the INFERNO Kit (retail price - $74.99). Note: The sweepstakes ends on January 31, 2013. Also, you must be at least 18 years of age to enter. Entry is free and simple. Just go to this page and fill out the entry form to be entered into the weekly drawing for your chance to win an INFERNO Kit! Each week, Volcanoecigs will give away 5 free INFERNO starter kits via a random drawing. The weekly drawings will be held on Fridays at 3:00 PM Hawaii Standard Time (HST). I first wrote about the INFERNO starter kit back in August when Volcanoecigs first released a brand new INFERNO Kit. Known as the "ecig granddaddy" (and a favorite of many vapers! 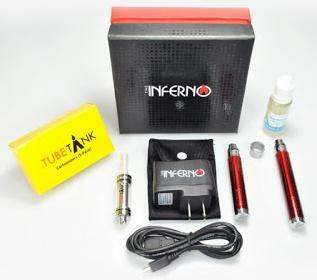 ), the INFERNO Kit is the most popular e-cigarette starter kit in the Volcanoecigs lineup. 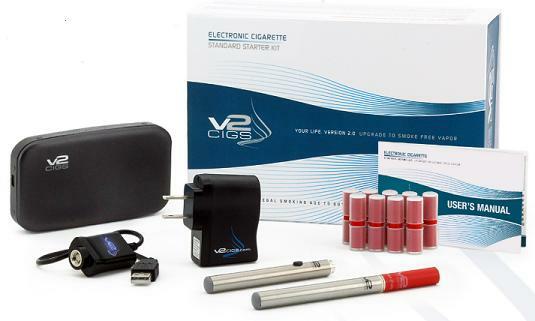 • New V2 Standard Plus Kit - New From V2 Cigs!